The European Central Bank lowered its deposit rate to -0.10% as the continent battles deflation after many failed monetary policy attempts. The bank said more extraordinary tools can can be used to prevent the derailment of economic recovery. 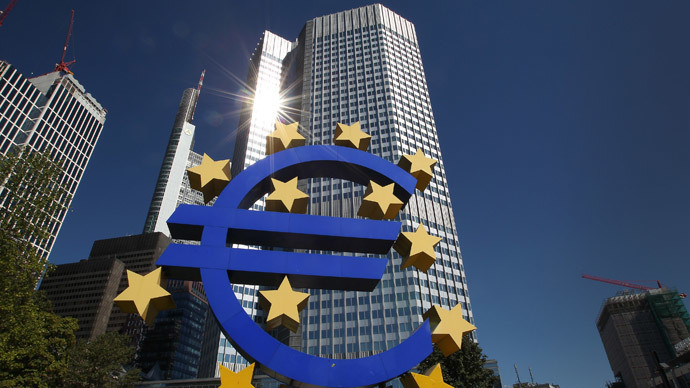 The European Central Bank (ECB) cut its main refinancing rate to 0.15 percent from 0.25 percent, and the deposit rate from zero to -.10 percent, the first time the ECB has seen a negative rate and the first time a major central bank has crossed the zero threshold. Exhausting other monetary tools, bringing the interest rate closer to zero is a last-chance shot at saving Europe from deflation. Draghi, who has said he will "do whatever it takes" to protect the EU from economic collapse and save the euro currency, hinted this may be the first of many monetary shake ups at the bank. “If required, we will act swiftly with further monetary policy easing," ECB head Mario Draghi said at a press conference Thursday. Draghi emphasized that the rate change is for the banks, and not for people and savers. Lowering the bank’s rate below zero would mean that banks will in a sense be ‘punished’ for keeping money on deposit and not giving out enough loans. So far the deposit rate is negative for banks, and they will decide if they pass along this burden to individual account holders. If banks make this move, people will be charged to simply keep their money in the bank. After the rate change was announced, the euro dropped to a four-month low, weakening against all 31 major competitor currencies. The bank wants to keep their inflation rates target close to 2 percent, and are “strongly determined to safeguard this anchor,” Draghi said. Draghi said that he foresees the inflation rate at 0.7 percent in 2014. All inflation projections have been revised to lower forecasts, but by 2018 inflation is expected to be at 1.5 percent. “The key ECB interest rates will remain at present levels for an extended period of time in view of the current outlook on inflation,” Draghi said. Inflation in the euro zone is dangerously low, and the Consumer Price Index only rose 0.5 percent in May, below the forecast 0.7 percent, both far below the 2 percent target rate. "We don't see deflation. 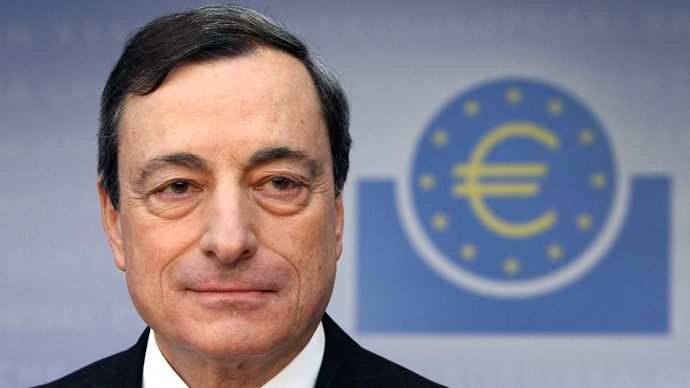 We don't see the typical feature of the self-fulfilling negative prophecy," Draghi said. He said interest rates will again rise along with euro zone growth. “We are not finished here,” Draghi said after he announced the lowered bank interest rates. He reiterated that the Governing Council is ready to use "unconventional instruments" which could include stimulus injections. The bank is considering US-style quantitative easing stimulus, which could inject more than 240 billion euro into the slowly recovering economy. The bank said it plans to boost liquidity, and that it will suspend 'sterilization', a conservative and tight-money policy that was used to stabilize the euro during the crisis. More money into the economy could prevent a deflation scenario. 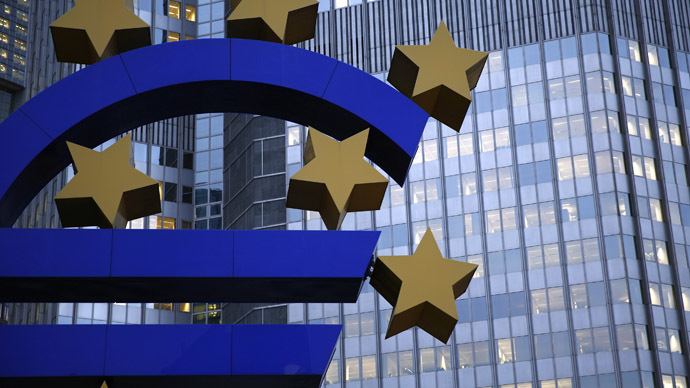 "Under this, the euro system will consider purchasing simple and transparent asset backed securities with underlying assets consisting of claims against the euro area non-financial private sector," Draghi said. Draghi said that the ECB will offer banks new LTRO, starting in November and December 2014. The ECB will offer long-term loans to banks at cheap rates until 2018. “Banks should take full advantage to improve their capital and solvency positions,” Draghi said at the press conference. The eurozone's 9.5 trillion euro economy is still emerging from the longest recession since the introduction of the single currency. Unemployment, which is at its highest since 1999, also poses a big threat to the economy trying to dig itself out of its worst modern-day recession. 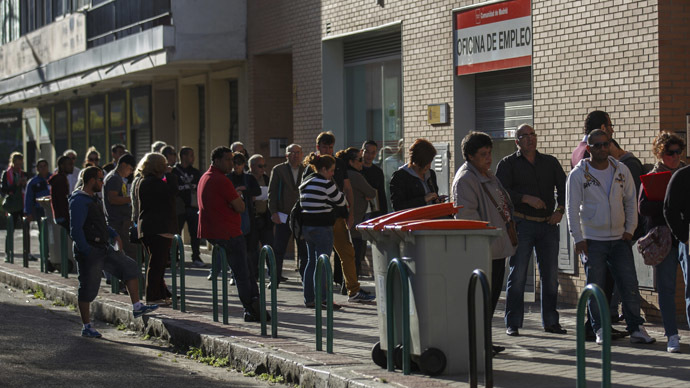 Overall, unemployment in the eurozone is 12 percent. 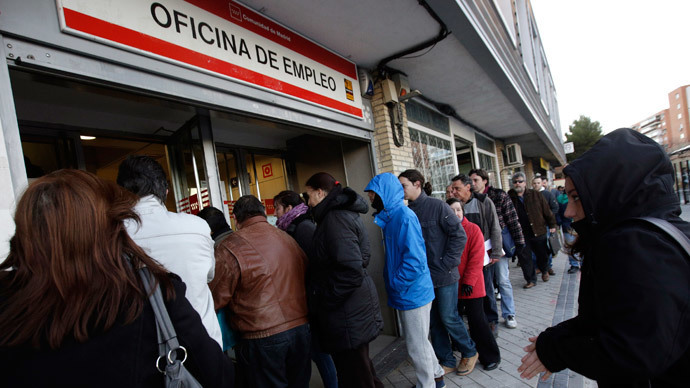 In the southern countries like Spain, Portugal, and Greece, unemployment rates are more than double that. Growth in the eurozone is uneven, so the new interest rates, which will apply to all member states of the EU, will have a different effect in each individual state.